Well this is my 5th entry for this months Crafterscompanion uk blog challenge which is embossing. I decided to make a star card which I have not done for years. So to remember how to make one I was lucky enough for my eldest to keep his 16th birthday card which was my 1st star card. A4 Regency embossing folder which came free with the ebosser. I used some of my collection of the swalk rubber stamps with the sentiments, and I coloured the images with my beloved spectrum noir pens. I have also used Neenah card stock which I stamped the images on. And from my own stash I used ribbons and gems. Super cute images - lovely colours. 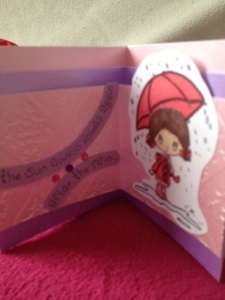 so sweet and lovely card Sam. 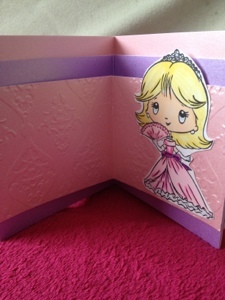 Cute images and fabulous embossing. I do love those SWALK images so very cute! 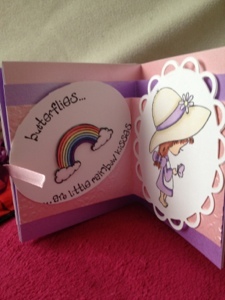 Pretty coloring ... fun card design ... so very glad you joined us at Crafter's Companion.